On this day in 1973, The J. Geils Band released their third studio album titled “Bloodshot.” Recorded at The Hit Factory in New York City for Atlantic Records and produced by Bill Szymczyk (Eagles, B.B. King, Joe Walsh, Michael Stanley), “Bloodshot” was the breakthrough album for the band and would become their highest-charting album until the release of “Freeze Frame” in 1981. 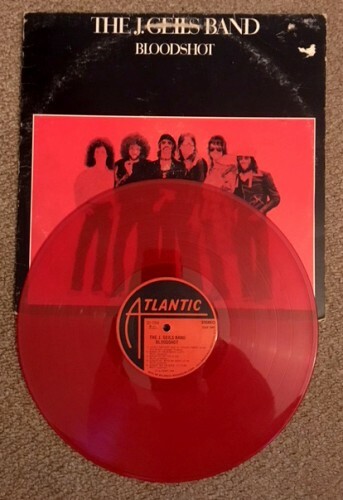 Original vinyl copies of the album were issued using red vinyl with matching “50’s style” red labels that Atlantic originally used for their releases. The band continued to use these vintage style, Atlantic labels for the remainder of their time with Atlantic.